Authors: Farshtey, Greg. 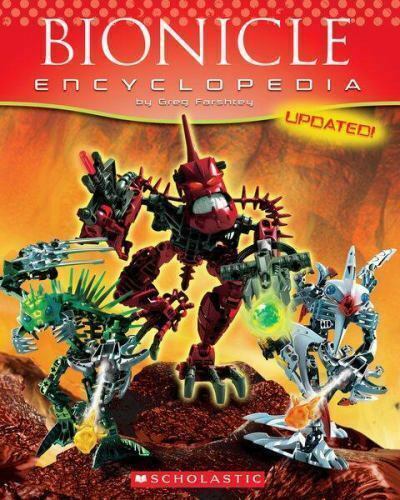 Bionicle Encyclopedia. Title: Bionicle Encyclopedia. An encyclopedic look at the entire BIONICLE story line, featuring new and updated entries. Want to know more about the Piraka? They're all here. And what about Nidhiki or Makuta? The Toa? The Toa Inika? The city of Metru Nui? And the watery world of Mahri Nui? It's all here: everything you ever wanted to know--and some things you may never have asked. The answers to your questions are inside this book. A must-have for fans of all ages whether they are new to the property or think they know it all. The ultimate guide to BIONICLE and a must-have for all fans. New and Updated! An encyclopedic look at the entire Bionicle story line, featuring new and updated entries. Want to know more about the Piraka? They're all here. And what about Nidhiki or Makuta? The Toa? The Toa Inika? The city of Metru Nui? And the watery world of Mahri Nui? It's all here: everything you ever wanted to know - and some things you may never have asked. The answers to your questions are inside this book. A must-have for fans of all ages whether they are new to the property or think they know it all. The ultimate guide to BIONICLE ® and a must-have for all fans. New and Updated! An encyclopedic look at the entire Bionicle story line, featuring new and updated entries. Want to know more about the Piraka? They're all here. And what about Nidhiki or Makuta? The Toa? The Toa Inika? The city of Metru Nui? And the watery world of Mahri Nui? It's all here: everything you ever wanted to know - and some things you may never have asked. The answers to your questions are inside this book. A must-have for fans of all ages whether they are new to the property or think they know it all. My son has finally found his passion for reading in the Bionicle books by Greg Farshtey. He always keeps this encyclopedia near him to look up things as he reads. He was using it so much from the library, he decided to buy his own. 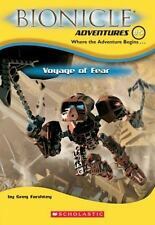 Great supplement to reading Bionicle books! This is a decent resource. We've found several names pronounced differently compared to the movie. Also, it shoud have a picture of every bionicle listed since this is an "updated version".